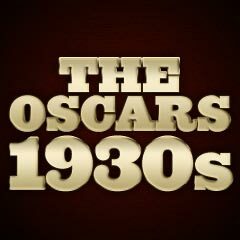 1936 was the first year that the Best Supporting Actor and Best Supporting Actress categories were added. Those winners would win plaques, rather than statuettes, until 1943's ceremony. Five of the ten Best Picture nominees in 1936 were MGM pictures: The Great Ziegfeld, Libeled Lady, Romeo and Juliet, San Francisco, and A Tale of Two Cities. In the mid-1930s, the trend was toward major film biographies (or biopics), and there were two among the Best Picture nominees in 1936. 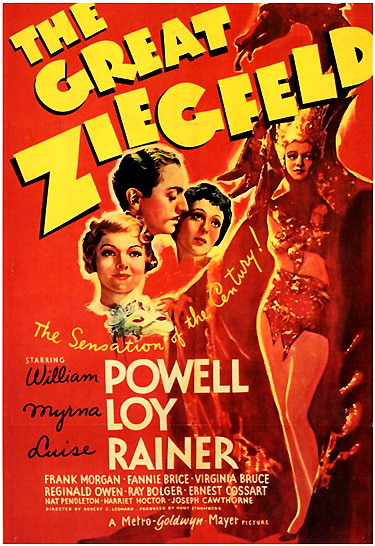 The first was director Robert Z. Leonard's and MGM's three-hour costly musical extravaganza (with seven elaborate production numbers, twenty-three songs, and headliner stars William Powell, Myrna Loy, and Luise Rainer), The Great Ziegfeld (with seven nominations and three wins - Best Picture, Best Actress, and Best Dance Direction). It was MGM's most costly biopic to date, costing $2 million. It combined the elements of the musical and the screen biography about the famous Broadway impresario and showman Florenz Ziegfeld. The film followed Ziegfeld's career rise from his lowly beginnings to the days of his extravagant Ziegfeld Follies, including his complicated love life with two marriages to beautiful actresses Anna Held (Rainer) and Billie Burke (Loy). The second biopic of the year was director William Dieterle's and Warner Bros.' The Story of Louis Pasteur (with four nominations and three wins - Best Actor, Best Original Story, and Best Screenplay) about the life of the great medical science pioneer/chemist who discovered the anthrax vaccine that saved French cattle from the black plague. It is now considered outrageous that The Great Ziegfeld defeated such superior films as Dodsworth, Libeled Lady and Mr. Deeds Goes to Town. The first film to receive nominations in each of the four acting categories was My Man Godfrey - remarkably, none of the nominees won awards. The definitive, classic film was also not nominated for Best Picture - a very rare occurrence, happening again in 1948, 1965, and 2008. [It was the first time that a film which swept the acting and directing nominations failed to receive a Best Picture nomination.] Its place was taken by Libeled Lady. Paul Muni (who became known for his fine performances in screen biographies and had starred a few years earlier in director Howard Hawks' Scarface (1932) as an "Al Capone-like" gangster, and was award-nominated for his role in I Am A Fugitive From a Chain Gang (1932)) won the Best Actor award for his role (his third nomination and first Oscar win) as the pioneering French medical scientist who battles against unseen killers and discovers pasteurization in The Story of Louis Pasteur. Walter Brennan (with his first nomination and first Oscar win) was the first recipient of the Best Supporting Actor Award for his role as Swedish-accented lumberjack Swan Bostrom in director William Wyler's and Howard Hawks' Come and Get It (with two nominations and one win), based on Edna Ferber's novel about lumbering and an unusual love triangle among the characters. Swan Bostrom was buddied over the years with fellow lumberjack Barney Glasgow (Edward Arnold), who became fixated on Lotta Bostrom, Swan's daughter who was born of the mistress/saloon singer Lotta Morgan (Frances Farmer playing both roles) that he had dumped over twenty years earlier. Barney was also competing with his own son Richard Glasgow (Joel McCrea) for her affections. It was Brennan's first of three supporting awards during his entire prolific career. Gale Sondergaard (with her first nomination and in her film debut) won the Best Supporting Actress Award for her role as the scheming and ambitious housekeeper Faith Paleologus who comes between Fredric March and Olivia DeHavilland in the costume drama Anthony Adverse. This marked the first time that any actor/actress had ever won a major acting award in their first film. [The next time this would happen would be ten years later - with Harold Russell's Best Supporting Actor Award for The Best Years of Our Lives (1946)]. Sondergaard was also the first to receive the Best Supporting Actress award. Walt Disney was awarded his fifth (consecutive) Short Subject: Cartoon award for Country Cousin. Jean Harlow (a Christian Scientist who refused medical treatment) died in Hollywood on June 7, 1937, about three months after the 1936 awards ceremony (March 4, 1937), of acute uremic poisoning. And it was extremely unfortunate that Carole Lombard didn't win in the category of Best Actress for My Man Godfrey - her best chance at an Oscar before her tragic, early death.